Daily Debate: Should Nintendo Release LEGO Sets for The Legend of Zelda? The Legend of Zelda, one of the most successful video game franchises of all-time, appealing to people of all ages has recently been branching out into crossover territory with the addition of Link in Mario Kart 8, for example. LEGO is one of the most popular toy lines of all-time. Marketed towards children (of all ages!) it is no newcomer to giving fans ways to capture some of their fandom’s greatest moments. A crossover between the two franchises seems to be a match made in heaven and yet, we have not seen such a product surface. There have been a few attempts at bringing this fan dream to fruition via LEGO Ideas, a website to develop new set ideas submitted by fans to be reviewed by a member of the LEGO team. Many of the Zelda related ideas have gotten to the review stage but there has yet to be one approved for production. I would love to see a Zelda-themed LEGO set showing off some epic moments of the series. I know something I would enjoy putting together piece-by-piece would be the Phantom Ganon encounter in Ocarina of Time, complete with portraits and awesome mini-figures. The Four Giants coming to stop the moon on top of the Clock Tower in Majora’s Mask would also be an epic set to build, or even the encounter with Majora. 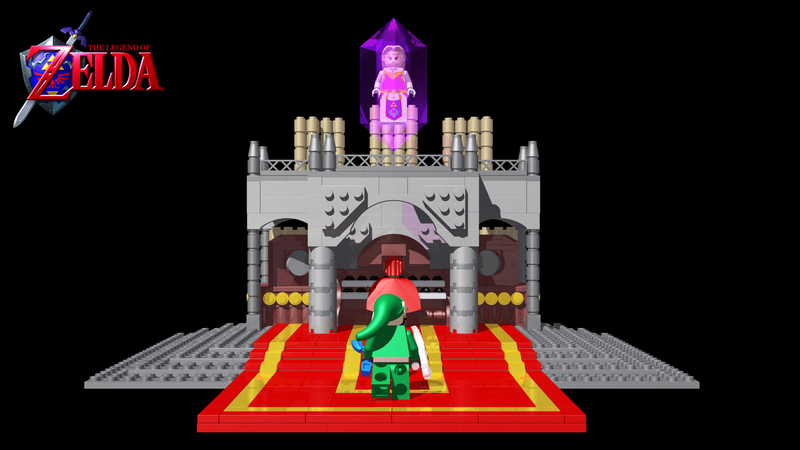 Another moment well-suited for being captured by LEGO would be Midna’s assault on Hyrule Castle in Twilight Princess. Do you think there should be any Zelda LEGO in the future? What sets would you like to see? What custom mini-figures would you want included? Let us know in the comments below!